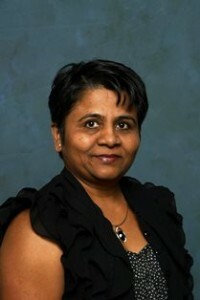 Before immigrating to Canada in 2005, Bhavana was a Physiotherapist in India since she graduated from university in 1989. Bhavana has owned her own Physiotherapy clinic in India since 1990 and continues to work closely with her therapists even from a distance. She became a Registered Physiotherapist in Canada in 2009 after working as a resident Physiotherapist in Toronto for several years. Bhavana has extensive and wide-spread experience from working in hospitals to private clinics to retirement and nursing homes. She has treated and worked with a wide range of injuries and has wonderful results working with manual therapies. In her spare time, Bhavana likes to spend time with her family. She also enjoys cooking and spiritual practices which include conflict resolution and creating a peaceful environment. She is very excited to be apart of the Filosofi team and loves helping clients resolve their problems as quickly and efficiently as possible.